CHILDREN ARE BRUTAL when it comes to their likes and dislikes and you’ll find all the evidence you need in a school yard or playground. Back in the day many a war was waged over the smallest of things and deciding which side you were on was incredibly important. And you could forget about any notions of sitting pretty on the fence. Move over Katniss Everdeen, these deadly playground battles would put your Hunger Games to shame. The battle of the Irish boybands was only fierce so it was. Did you love this lot for a reason when they stole the key to your life in 1994? Or swear it (your devotion, obvs) all over again when this shower came on the scene in 1998? How on earth could we choose between all these lovely Irish lads? We don’t even want to talk about that Cheese and Onion or Salt and Vinegar question. Many a friendship was made or broken by a packet of crisps. Come back Mr Perri. COME BACK. 3. Neighbours or Home and Away? Whether you loved Scott and Charlene. You knew Home & Away and Neighbours just didn’t belong together, right? 4. Super Nintendo or PlayStation? With the Sega and Nintendo battle lines firmly established, nobody could have imagined the havoc Sony’s little grey box would cause. Barbie was the indisputable queen of girl world. That is, until Britain’s sensible Sindy rolled into town. It wasn’t long before the new kid on the block was really upping her game. And sure it didn’t stop there either: The Bratz and What’s Her Face kept the pressure on America’s golden girl. Woe betide the mammy or daddy who brought the wrong one home. How on EARTH could you be expected to swap Barbie clothes with a young wan who had a Sindy? You couldn’t be caught dead with the wrong ones on your pencil case. And then there was the small matter of trying to decide if you were playing Pokemon Red or Blue? Or choosing Squirtle or Bulbasaur or Charmander? Talk about your deal breakers lads. Would you be right? The cool kids’ alternative to Boyzone versus Westlife, this clash was in a league of its own. Even the four-year-olds below in Junior Infants were going head to head over the whole thing. 8. 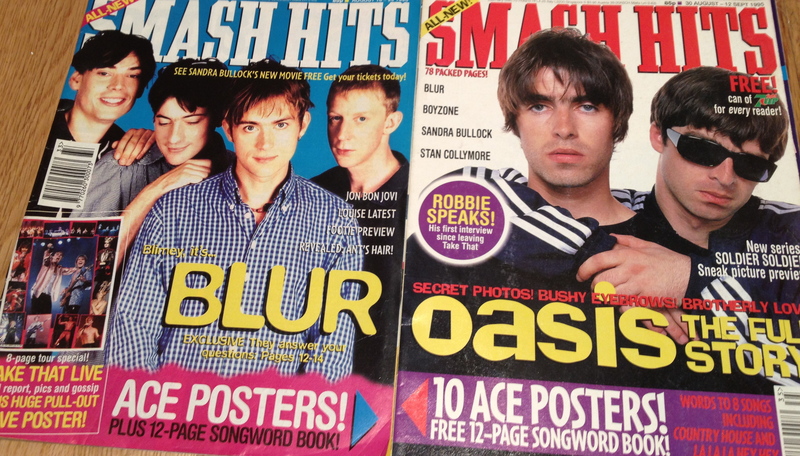 Smash Hits or Top Of The Pops? 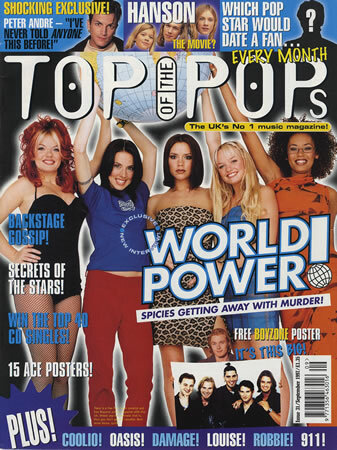 Song words and massive poster pull outs were all the rage but trying to decide which magazine had the best ones was tough. With only enough pocket money for one, tough decisions had to be made. Long before Miley and Selena there was Britney and Christina. Were you a genie in a bottle? Or did Ms Spears give you a sign? Because there was so much more to playing the beautiful game than anyone could ever understand. *Red sauce. Sure didn’t mammy tell you that’s what was coming out of them lads on the telly when they were shot? Seriously though, chip dipping was a very impotant matter that needed to be discussed in great detail. Was Heinz too sweet? Was Chef too sour? And most importantly, who’s mam always had the right bottle in when you stayed on for dinner? Ok, so you probably didn’t fight over this one, but it was one of the toughest decisions you ever had to make. What other epic battles did you and your friends wage in the playground back in the day? Email “12 playground battles every child of the 1990s will understand”. Feedback on “12 playground battles every child of the 1990s will understand”.